For infants through three years old, our Nursery is staffed by CPR/First-Aid Certified professionals and volunteers on Sunday mornings. Childcare is available thirty minutes before worship and ConneXion begins. If you have questions about childcare at All Saints', you may email our Nursery staff. Our Preschool ministry is here to serve children and families by creating a foundation for social, emotional, physical, intellectual, and spiritual growth and development in a nurturing, Christian environment. We are currently running a weekly Tuesday, Wednesday, and Thursday half-day program for children ages 1 to 3 years. Prior to worship on Sunday mornings (9:30-10:15am), children and adults both find places of learning. 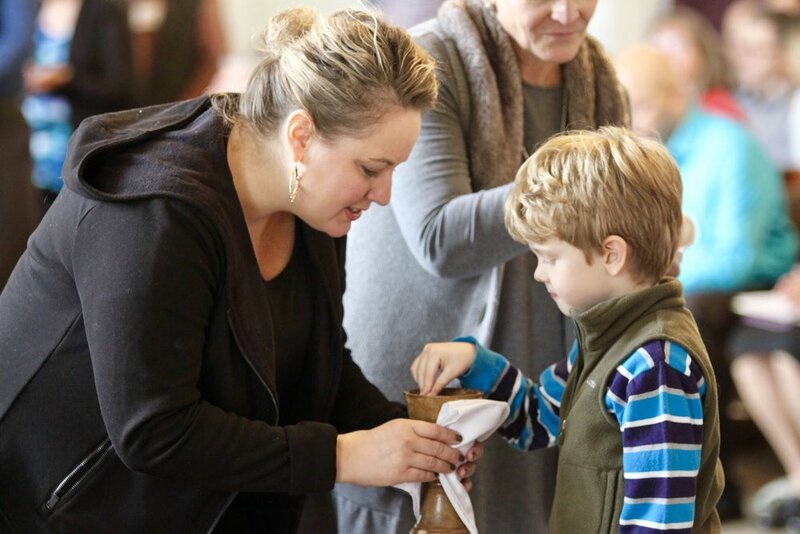 Also known as Sunday School to some, ConneXion focuses on scripture, community, and discipleship in age-appropriate learning environments. If you're interested in joining, either as a student or volunteer, follow the link below. Faith is passed down through generations. It is taught, demonstrated, and shared. The most fruitful place for the youngest Saints to grow is in worship with you! We’ll provide a few resources to help engage, but worship is meant for all ages. Follow the link for more info about how we view the youngest Saints in worship.